The stylists at THE HAIR COMPANY by The Skin & Body Spa are some of the most talented and educated stylists in the industry. They are passionate about helping our customers look and feel amazing. Our clients’ needs are what matter most to us. We listen to what you want and provide you with only the best service and products to give you an end result you will love. At THE HAIR COMPANY, we strive not only to exceed expectations with our hair and beauty services, but with our client relationships as well. Our talented and professional team will go above and beyond to make sure you feel special! We carry Goldwell, Living Proof, Ouidad and Paul Mitchell products. We are also proud to be a certified Ouidad salon (method of curly hair cutting). Come in today to have your hair pampered. We provide traditional haircuts, Ouidad curly hair cuts, hair color, highlights, balayage, permanent waves, Brazilian blowouts, and bio ionic straightening. Your hair care is important; let us do it right. Product quality is the difference between good hair and great hair. THE HAIR COMPANY takes the time to research and test products to assure our clients that they will only receive the highest quality products no matter what service they come in for. 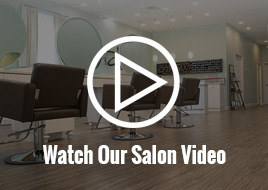 We use and sell Goldwell, Living Proof, Ouidad, and Paul Mitchell. Your hair deserves only the best. Treat yourself to the gift of feeling and looking beautiful with a visit to The Hair Company by the Skin & Body Spa. Want to give a unique gift? Give the gift of pampering, with a gift card to The Hair Company! Everyone deserves to feel beautiful and pampered! Contact us today to book an appointment or stop buy to pick up a gift card! Your hair is a part of who you are. When it looks great, it can define your look and give you the confidence you need to know how beautiful you truly are. THE HAIR COMPANY believes that through your hair, you can have outer beauty and inner peace. Welcome to THE HAIR COMPANY by The Skin & Body Salon. We opened our salon to serve clients in Southern NH. Stunning styles and excellent hair care is always our goal. Our upscale salon only implements the best products to guarantee that you will never be let down. THE HAIR COMPANY can’t wait to see you. Why just have ordinary hair when you can have the best? Contact us to receive a free consultation. Your hair deserves top-of-the-line treatment; let The Hair Company be where you go to get it. Schedule an appointment with one of our talented professional stylists today. Something magical is waiting to happen, let it happen to you!